Ultimate Mortal Kombat 3 für SEGA Saturn Kaufen! 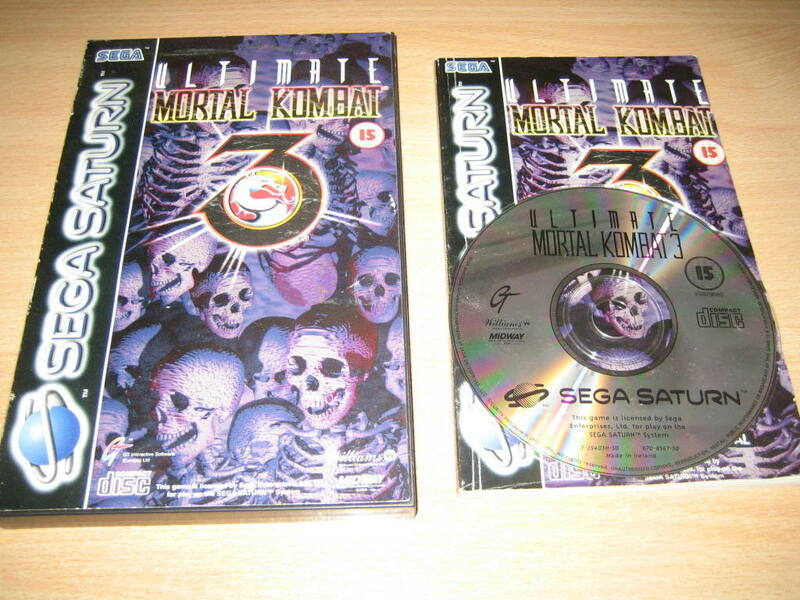 Englische Sprachausgabe: Enter the world of ULTIMATE Mortal Kombat 3 and discover what awaits you... This Saturn conversion features 19 immediately playable fighters and 2 bosses. Meet up with some old adversaries. Think you know them? Guess again. They''''''''''''''''ve got new combos, fatalities & animalities and they''''''''''''''''re looking for you. There''''''''''''''''s also a few dudes playing their own version of hide and seek - find ''''''''''''''''em if you can. Marvel at four newly added backgrounds set the stage for your battles, battle against the computer, opt for 2-on-2 fighting or try out the very cool 8 Fighter Tournament mode! Dazzling graphics, incredible CD sound and motion-capture technology produce the most realistic battles you''''''''''''''''ll ever fight.